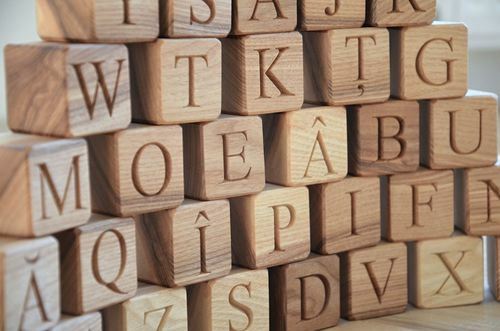 A set of 31 wooden Romanian alphabet blocks with engraved letters on 1 or 2 sides per block. A great back to school gift, baby shower gift idea and a wonderful gift on kids' birthday. 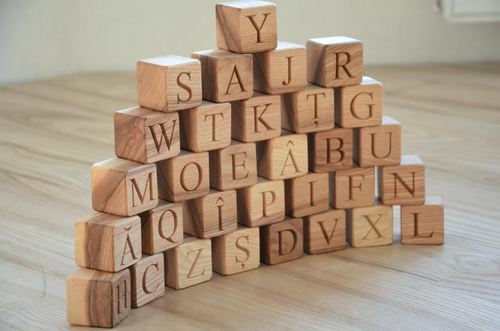 ABC wood blocks. - are all natural - no artificial colors used. They are safe & non-toxic. - have a satin smooth surface. - the blocks are polished with natural beeswax polish (optional). If you plan to color, decorate or paint the blocks afterwards, then please choose "no wax polish" when you place an order. Wooden blocks are a very versatile toy. 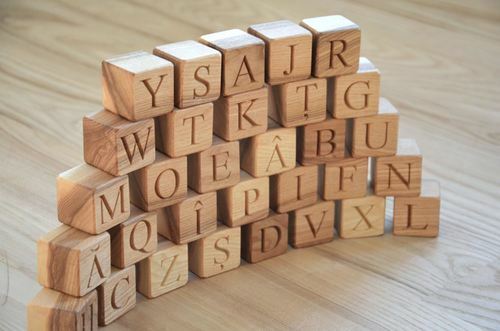 They don't just do one thing – they can be whatever the child wants them to be – a house, a castle, a car, even a telephone...You can make towers from these blocks and you can also learn Romanian alphabet having a lot of fun!